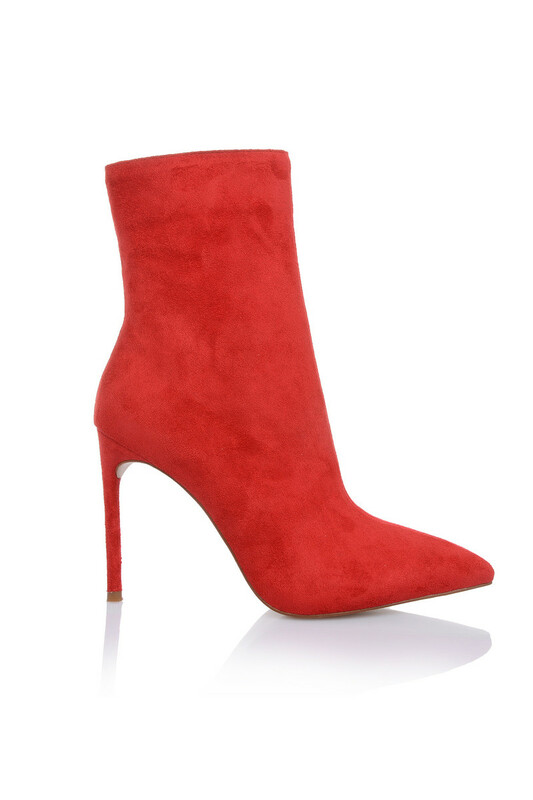 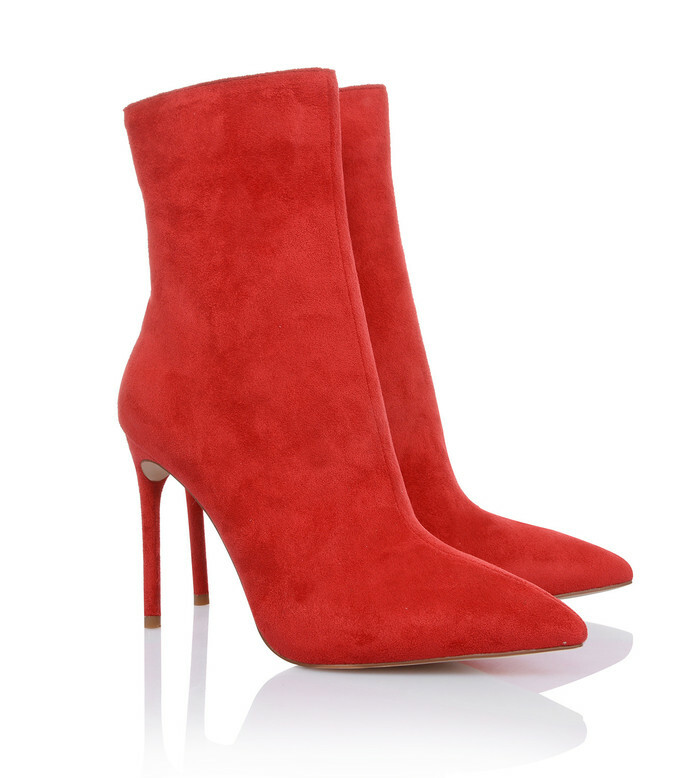 These super fly ankle boots are presented in hot red suede and feature a classic ankle cut and stiletto heel. 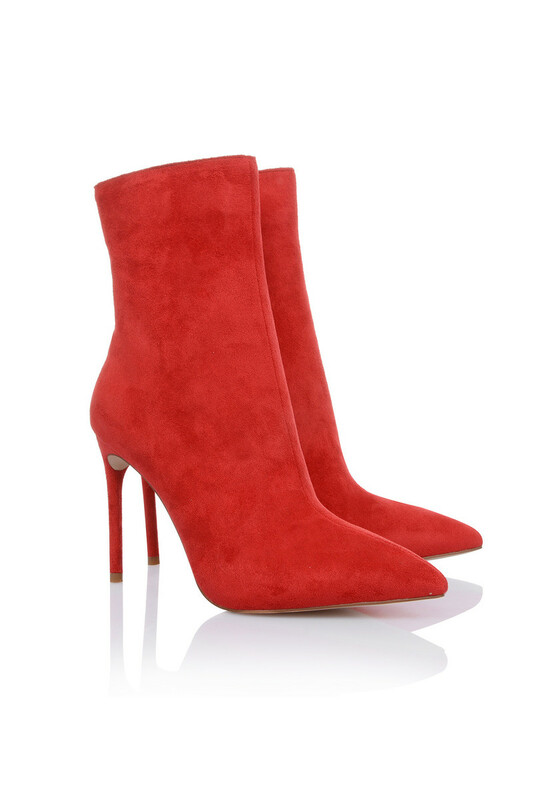 Side for easy on and the pointed toe is ultra edgy. 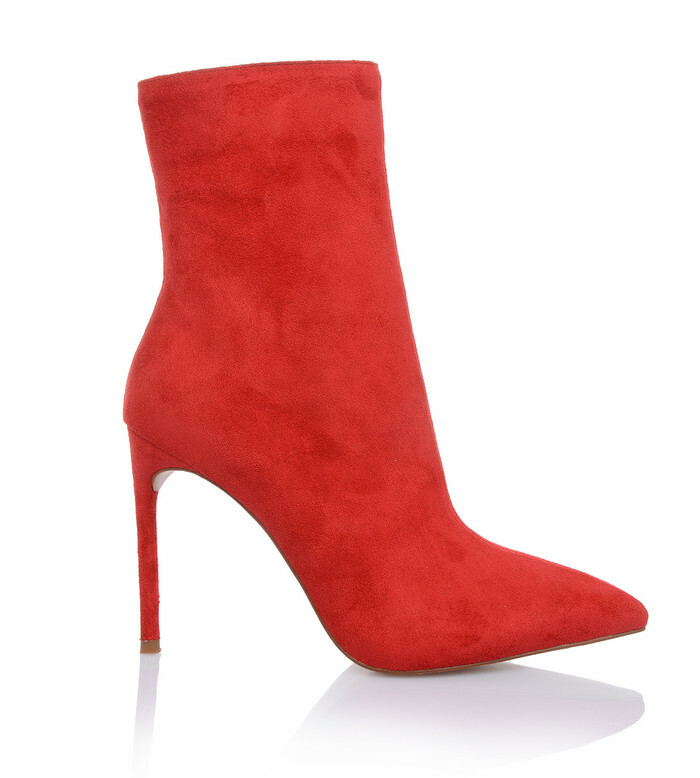 Wear yours with dresses or leggings.